Weekend outlook – Toast to Cinco de Mayo on the streets of D.C.
Join the expected 70,000 participants and celebrate the diversity of the U Street neighborhood at the Funk Parade Saturday. Trade in your pre-finals siesta for a fiesta this weekend. Get your funk on at U Street or experience ambient techno music at Echostage before exams. Celebrate Cinco de Mayo at an event presented by Drink the District, a company that creates and caters pop-up events around the city. 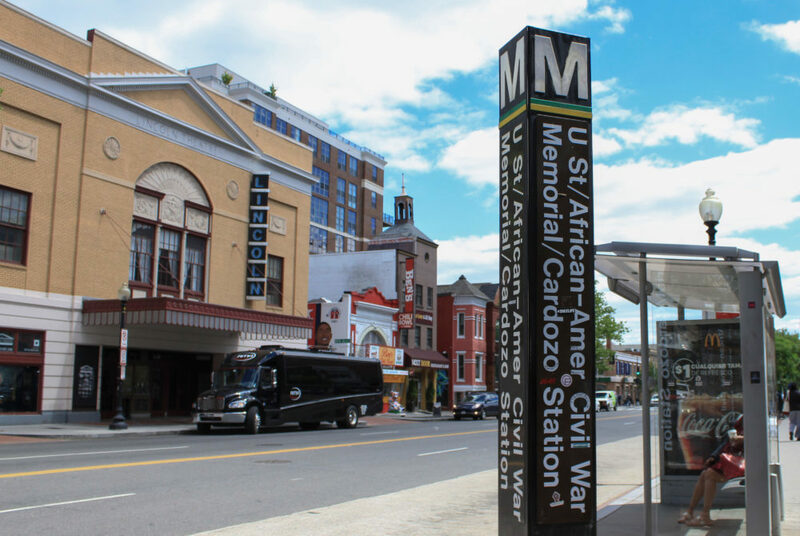 The Cinco D.C. Mayo fiesta promises music and live entertainment from mariachi bands, as well as DJ Julian Rivera, so come prepared to dance and shake your maracas. General admission tickets include a “grande” Mexican beer, live Mexican wrestling, carnival games, entry into one round of Loteria or Mexican bingo for a chance to win prizes and access to D.C.’s finest Mexican street food like tacos and more. Canal Park, 200 M St., SE. 5:00 – 9:00 p.m. $15. Ages 21+. Join the expected 70,000 participants in honoring the unifying spirit of funk at this parade. The festival, which aims to celebrate the diversity of the U Street neighborhood and vibrancy of D.C.’s music, arts and culture scene, promises to be a lively one. The event will feature live music, dance programs and art installations. One of the art exhibits, The Future Funk Laboratory, will showcase 360 video content, new music-technology collaborations and other virtual reality art projects. Try out interactive virtual reality visuals and games using headsets to experience this year’s Funk Parade theme, Future Funk, a nod to creating a bright future for all. 1214 U St., NW. Noon – 11:00 p.m. Free. Lose yourself in the gentle melodic-techno sounds of Tycho and Nitemoves as you dance away your worries about finals. Tycho, a band led by Scott Hansen, released their fourth and latest studio album, “Epoch,” last fall as a surprise album to connect with fans. Rory O’Connor, the musician and sound designer behind Nitemoves, worked with Tycho as a drummer while also composing work as a solo artist. The relaxed and ambient vibes of each artist’s sound promise a stress-free concert where you can forget about the stress of school. Echostage, 2135 Queens Chapel Road NE. 7:00 p.m. $35. This article appeared in the May 4, 2017 issue of the Hatchet.